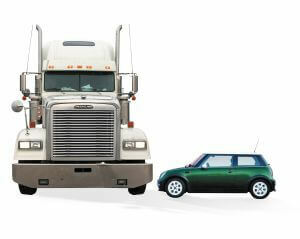 Trucking is one of the biggest small business industries in America. If you can drive a truck, you can own your own business. But owning your own business isn’t the end of the story. A lot of headaches come with that American dream. One of the biggest problems in the trucking industry is that truckers are at the mercy of rising fuel costs. Seasonal ups and downs notwithstanding, day over day we can all expect fuel prices to keep rising right along with all other prices. Another big expense for the trucking industry is insurance costs. Those keep going up as well. It’s a big double whammy if you’re trying to run a trucking business, regardless if you have 1 truck or a thousand. You can’t control the fuel industry or the insurance industry, but you can control your little piece of it. One way you can do that is by using today’s advanced technology to save fuel and lower insurance rates. That’s where ArgoTrak comes in. ArgoTrak offers custom solutions to help you save on fuel costs by helping you streamline and economize in your daily driving activities. In addition, many insurance companies offer discounts to drivers who utilize products and services like those offered by ArgoTrak. ArgoTrak solutions help you reduce fuel, operating, and maintenance costs, while at the same time helping to increase productivity and safety. Let ArgoTrak help you take the double whammy out of your business operation. Call ArgoTrak today at 239-240-8148.